Keep track of support requests with one of these packages. I remember sitting around a conference table with a handful of developers and support technicians talking about features we could add to our internal help desk application. 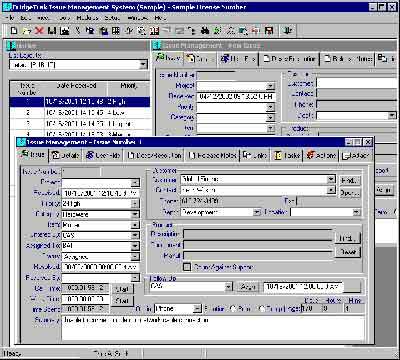 We had been using an application originally developed with Microsoft Access 95 for that many years with little or no updating. It had served its purpose well, but as our customer base grew, our little internal application began to expose its deficiencies. When I started to use BridgeTrak by Kemma Software, two things happened. The first was that I was a little disappointed in the interface because it was reminiscent of an old Access-style application. Certainly that is nothing wrong with that, and for may people this is ideal. For me, however, I was hoping to see a cleaner and more expansive UI with some Web functionality. 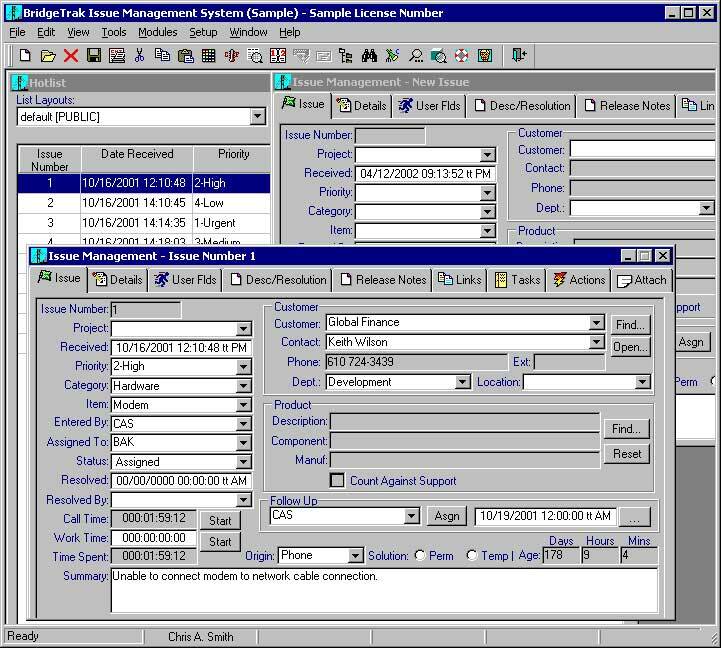 The second thing that happened was that I quickly forgot the initial hesitation I had with the UI because I discovered that BridgeTrak was replete with time-saving and documenting features for the support or help desk environment, many of which I had been requesting for our own application for years. One detail that struck me immediately was BridgeTrak's ability to maintain an accurate accumulation of time associated with an incident. Even though the technician is ultimately responsible for pushing the "Start" button to begin the time count, a log of each action or interaction is recorded on the Actions tab. For instance, a line showing that a call was entered into the system at 3:00 p.m. and assigned to someone at 3:05 p.m. Because there is a start and stop button for both the "call time" as well as the "work time," the accumulated time for each is easily derived. This is ideal for customers with special billing requirements. BridgeTrak gathers other useful information, such as links to pertinent files and attachments, it even has a tab that captures specific information about the version and build number of the product for which the issue is reported. I could make immediate use of this feature for beta test customers. One feature I found in no other product, but that could potentially save an engineer lots of time on rote data entry, is the use of issue templates. These can be created with specific priorities, customer IDs or support types so that all an engineer has to do is enter in the specifics of the case and start the timer. BridgeTrak does offer a Web interface and support for larger databases such as Oracle and SQL Server. If the Web interface has as much attention to detail as the Access version, I'd highly recommend it-it's obvious that with the version of BridgeTrak I reviewed that the developers worked closely with a help desk to build this application.